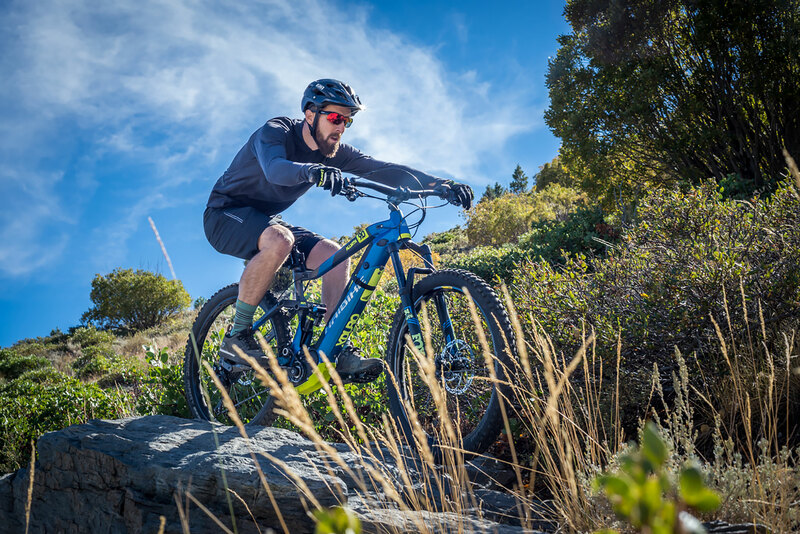 Impressive performance, versatility, and durability backed up with clean lines and good looks — the Haibike XDURO AllMtn 9.0 might just be one of the best all-around electric mountain bikes on the market. Haibike offers a wide range of electric bicycles but is best known for its performance e-mountain bikes. 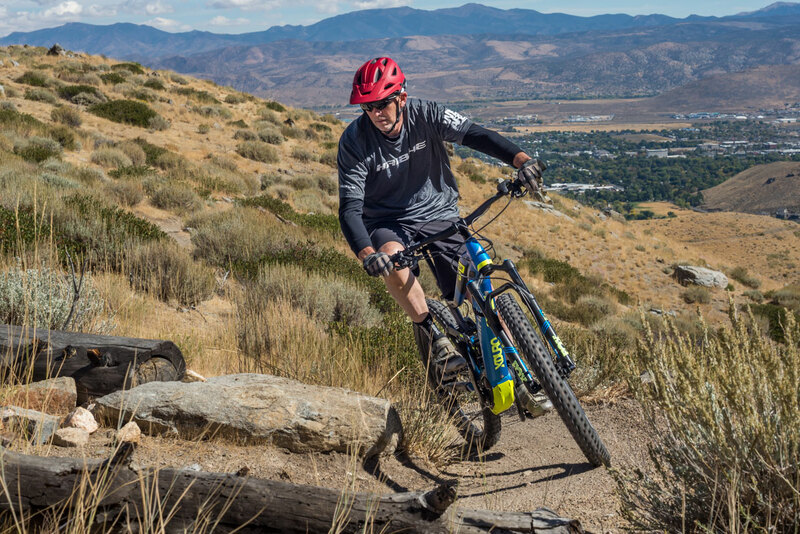 I recently put in a few weeks of testing around Reno, Nev., on the latest Haibike XDURO AllMtn 9.0 bike. In short: Will this replace my all-mountain trail bike? The short answer is no. I like a lightweight, playful bike that makes me suffer a bit on the uphills. By contrast, the XDURO AllMtn is neither lightweight nor hard to pedal uphill. But it is a great second bike that is super fun on trails and equally so around town. It’s a perfect all-around fun machine that is super versatile and ready to take all the abuse you can dish out. Bosch is among the top players in the quickly developing e-bike marketplace. It offers a wide range of drive units and display/controllers for a broad variety of e-bike applications. The HaiBike XDURO AllMtn 9.0 comes equipped with a Bosch Performance CX drive unit, Purion Display, and PowerTube battery. With 350W, the Bosch Performance CX drive unit is specially optimized for aggressive use. And it offers a maximum torque of 75 Nm at all speeds. In use, the power and efficiency of this motor drive were impressive to experience. And the system’s Turbo mode will really show you what a kick in the pants this motor can provide! The Bosch Purion Display is a compact black-and-white display and controller designed for left-hand operation. 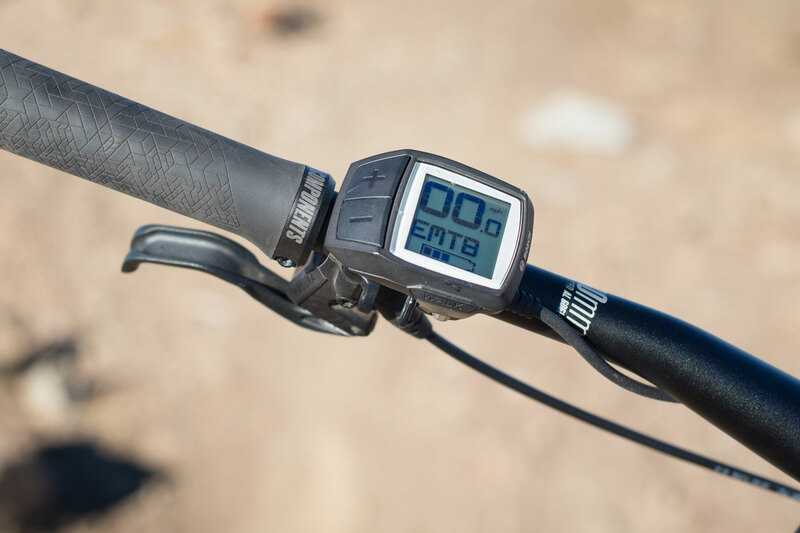 It has two big buttons to switch between the different assist modes: Off, Eco, Tour, eMTB, and Turbo. It also shows speed, distance, charge level, and range information. Large, simple characters on the display proved easy to see at a glance. Plus, the display’s backlight made for easy viewing at all times, even in the dark. The Bosch PowerTube 500 battery offers a slick battery system and shape. HaiBike integrated the PowerTube battery directly into the frame. So it not only looks good, but it keeps the weight low and is super easy to replace with a freshly charged battery. 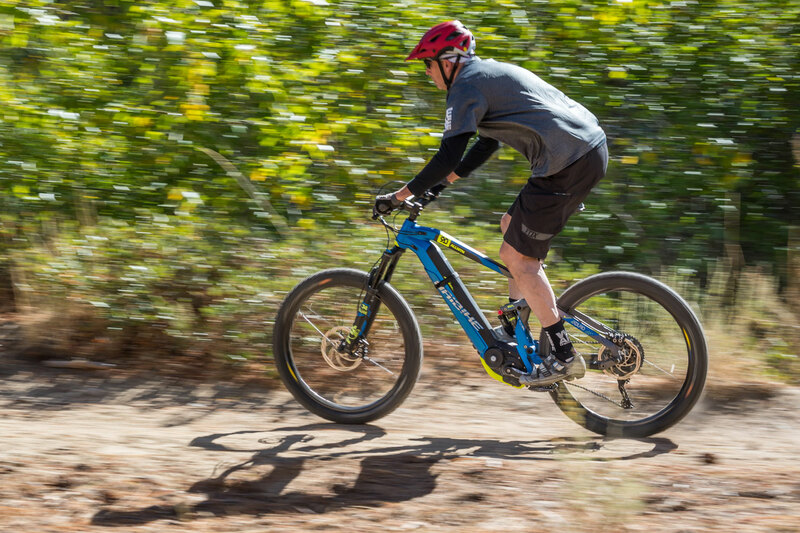 The eMTB setting is a great all-around setting that adapts to your inputs and the terrain. It was by far the most-used setting during my testing. And honestly, the bike would still be great if it offered only this one setting. Turbo mode was a bit aggressive to use all the time, as it creates quite a bit of wheel spin and loss of traction. This was especially true on steep and loose terrain. However, one awesome use of Turbo mode I found was riding up a steep flight of stairs at my apartment complex. With Turbo mode, it was crazy easy to climb straight up the stairs. Official disclaimer: Don’t try this at home. The Eco and Tour modes, of course, extend the range of the e-assist, but they are less powerful. For the aggressive off-road terrain I like to ride, with lots of incline variations, I prefer to have more power on tap than these settings offer. But the Eco and Tour modes are great for cruising on pavement or flat ground. I used the bike a number of times to ride the 5-plus miles to the local trailhead, and the Eco mode gave me the assist I wanted while conserving the battery for aggressive off-road riding. It’s important to note, however, that pavement use will wear down the sticky off-road tires on this bike relatively quickly. The motor system is, of course, the most expensive part of the bike and the most prone to damage, especially as it sits so low in the frame. 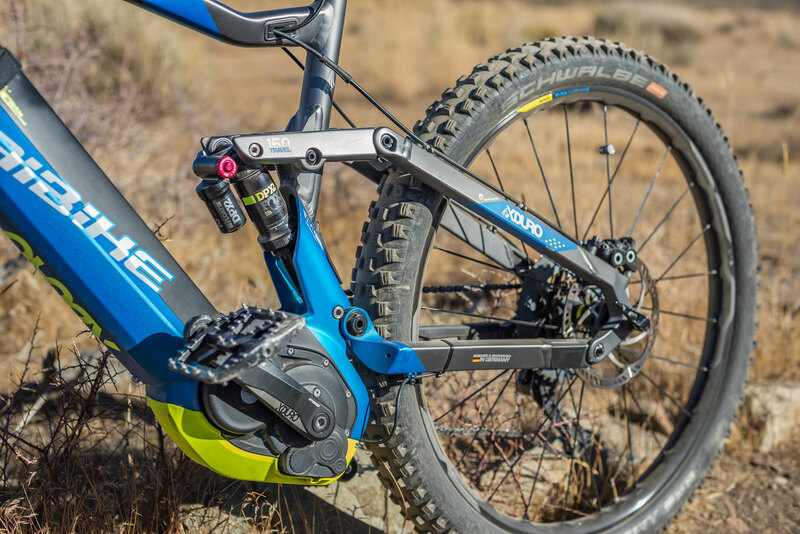 HaiBike brought us the SkidPlate all the way back in 2013 and has refined it ever since. The replaceable HaiBike SkidPlate is a sacrificial part — and something I put to the test more than a few times. It held up impressively well to some serious high-speed impacts with sharp rocks and worked well to allow the bike to keep going up and over those obstacles. I used the 2018.5 model year bike, size large, although HaiBike’s fit guide suggests an XL frame for my 6’3” height. The large felt really good to me, but I appreciate a relatively compact bike. For the pilot, the XDURO AllMtn 9.0 offers up a comfortable riding cockpit. The seat is very comfortable, and the dropper post works flawlessly to keep you in perfect riding form for the terrain ahead. And while the super-wide (780 mm) handlebars are a bit wider than I prefer, they do offer up a ton of control and are in line with current trends. During testing, the chain action always stayed super smooth. 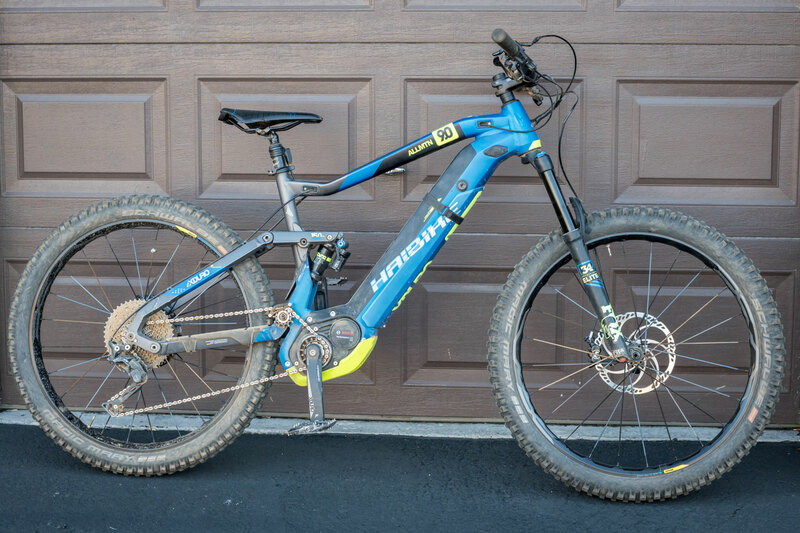 I found it nearly impossible to drop a chain on this e-mountain bike, something I’ve run into issues with on other bikes. With its integrated chain guides, HaiBike’s system ensures the chain stays where it should, lasts a long time, and has no excess slack. For treads, the XDURO AllMtn 9.0 comes with Schwalbe Magic Mary (70-584) tires. According to a HaiBike representative, the rear tires tend to require replacement around 400 miles, while the fronts last about 600 miles. The test bike I received was over that 400-mile mark, and the soft, sticky tires were starting to lose their lugs. And because they were worn down pretty far, they definitely had much less traction on loose surfaces than newer tires would. Still, the wide, soft tires offered a ton of riding comfort. My testing time concluded when I flew over the handlebars at speed and landed face-first into a pile of rocks. Luckily, the new LEM helmet I was testing did its job. But I still wound up with a solid concussion, lots of new scars, and a broken finger. Full disclosure: The crash was totally my fault. I lost concentration and clipped a tree with the last few millimeters of the handlebars. Again, the 780mm-wide bars on this bike are wider than I’m used to, and I just misjudged the situation. But the bike actually fared relatively well. 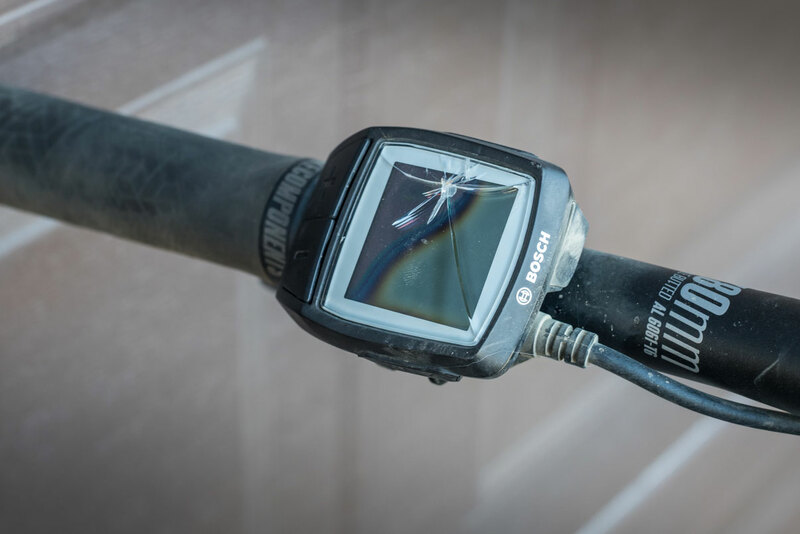 The screen on the handlebar-mounted Bosch Purion Display cracked, the rubber on the handlebars received some scratches from the tree, and the material on the seat tore against a rock. Unfortunately, the crack in the computer apparently made the electronics inoperable, which disabled any e-assist. I can assure you that any uphill pedaling on this 55-pound bicycle will make for rough going — especially beat up and with no help from the motor. However, the Bosch Purion Display is really the only thing that needed to be replaced on the bike after the crash. Our demo unit was a 2018.5 bike, with an MSRP of $6,500. For 2019, the price will get a small bump up to $6,700, with only a few small changes. 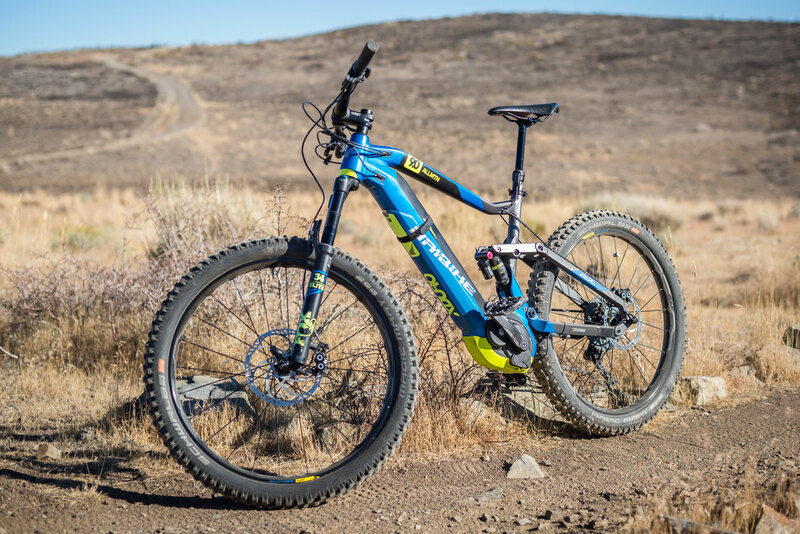 The geometry, shock, and fork specs will stay the same. The 2019 edition of the XDURO AllMtn 9.0 will come out late in winter and has an SRAM GX Eagle drive system and DT Swiss H1900 wheels. For comparison, our test bike had Shimano Deore XT components and Mavic E-XA Elite wheels. 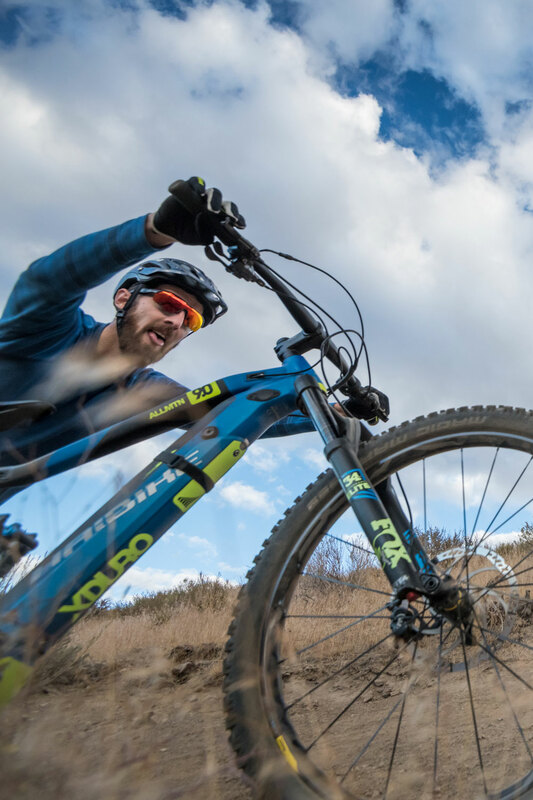 HaiBike is clearing out its inventory of 2018 bikes in preparation of the 2019 models that are coming soon. Check out the latest offers directly at HaiBike.com, where you can even find financing options. These bikes still are expensive, but they are of great value.